A High Definition Voluminising Mascara for stunning and beautiful eyes! 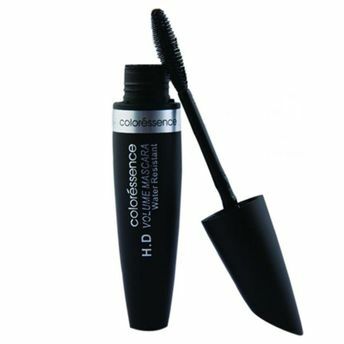 Coloressence presents a H.D Volume Mascara that defines your eyes by adding more volume and length to the eyelashes. Its waterproof effect provides you with a long lasting natural look and the lashes look instantly longer and thick. This is an all day wear mascara without flaking or clumping. High Definition and Voluminising Mascara for dramatic look. All day wear with no flaking. Additional Information: Coloressence is a well-known colour cosmetics brand of Nature’s Essence, that brings you a vast range of makeup products in various ranges and packaging and includes their professional makeup range too. The pigments used are of top quality, exclusively being imported from Germany and made with the best quality ingredients. Explore more from our Eye Mascara collection here. Explore the entire range of Mascara available on Nykaa. Shop more Coloressence products here.You can browse through the complete world of Coloressence Mascara .